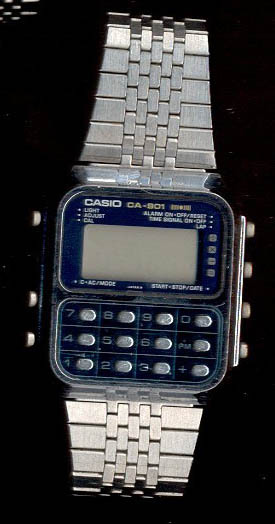 Casio CA-901 Multi-function calc with game mode, c. 1981. 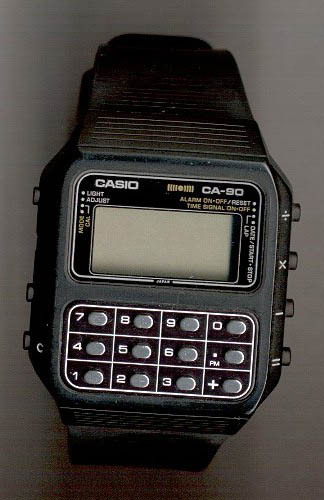 Casio CA-90 Black plastic multi-function calculator watch with game, c. 1982. 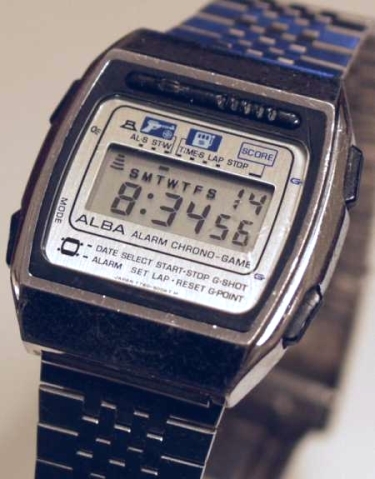 Alba Y827 Seiko-made watch with “Gunfight” and “Slot Machine” games; 1981. 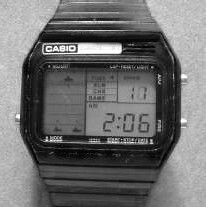 Casio GM-10 Casio’s earliest “video” game watch. c. 1980. 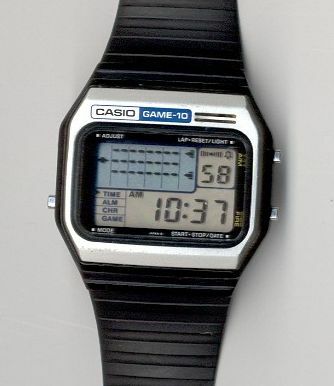 Casio GM-30 1980 Sub vs. Ship game, alarm/chrono. 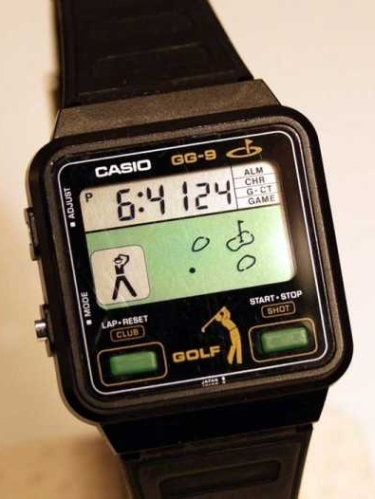 Casio GG-9 Golf Game Watch; c. 1984. 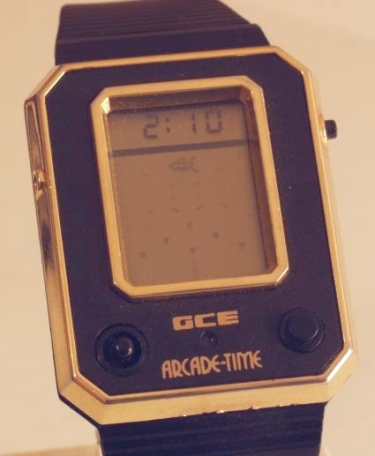 GCE Arcade-Time Amazing multi-game & alarm w/ joystick. Chips Ahoy! 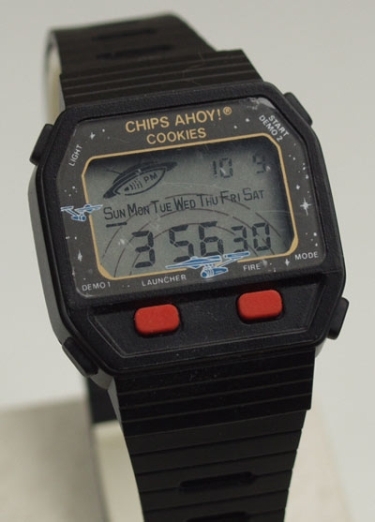 Game Watch Chocolate Chip Cookie Star Trek Promo Space Attack Clone. 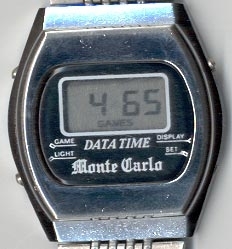 DataTime Monte Carlo Monte Carlo w/ 21, Blackjack & Dice games. 1970s. 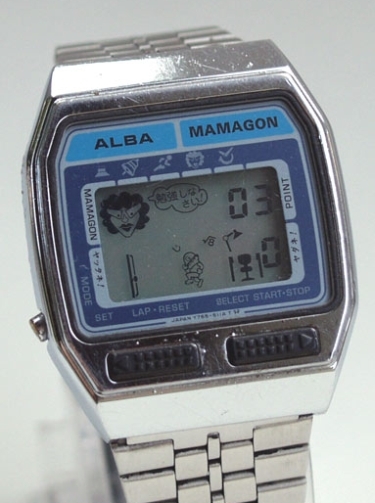 Alba Y765 Mamagon “Dragon Lady” game watch. 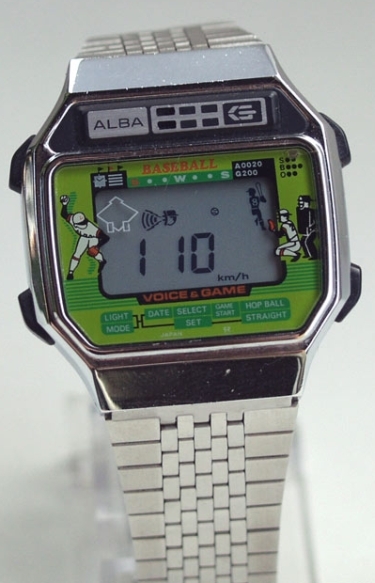 Alba Y822 Baseball Voice & Game. c. 1983.